The Graduate School of Arts and Sciences Centennial Medal, first awarded in 1989 on the occasion of the school’s hundredth anniversary, honors alumni who have made contributions to society that emerged from their graduate study at Harvard. It is the highest honor the Graduate School bestows, and awardees include some of Harvard’s most accomplished alumni. 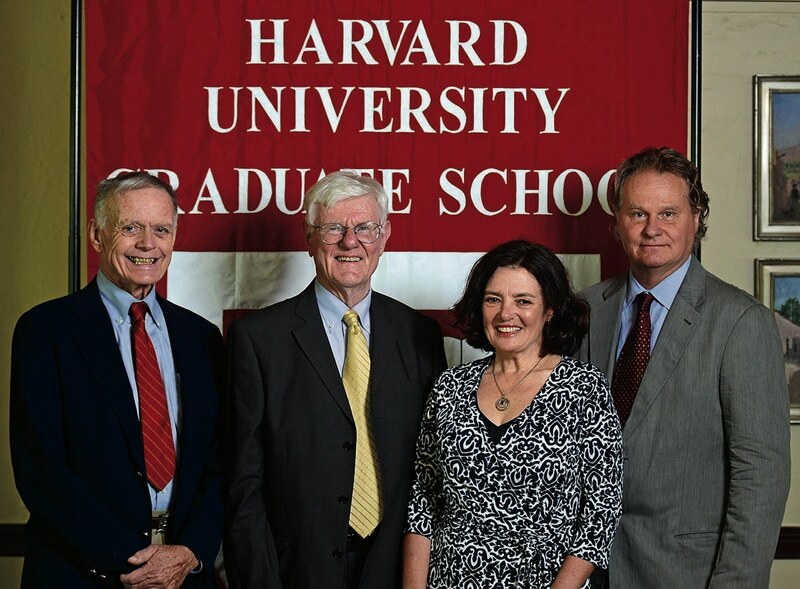 The 2015 recipients, announced at a ceremony on May 27, are: Wade Davis ’75, Ph.D. ’86, an ethnographer, ethnobotanist, writer, photographer, and filmmaker; Robert Richardson ’56, Ph.D. ’61, an American historian and biographer; Louise Ryan, Ph.D. ’83, head of the maths and information-sciences division at Australia’s national science agency; and Gordon Wood, Ph.D. ’64, Way University Professor and professor of history emeritus, at Brown University. For more about the honorands, see harvardmag.com/centennial-15.